This type of glass frosting powder is mainly used in the glass further processing fields which include the further manufacture of the wine bottles, grape wine bottles, and the other glasswares. 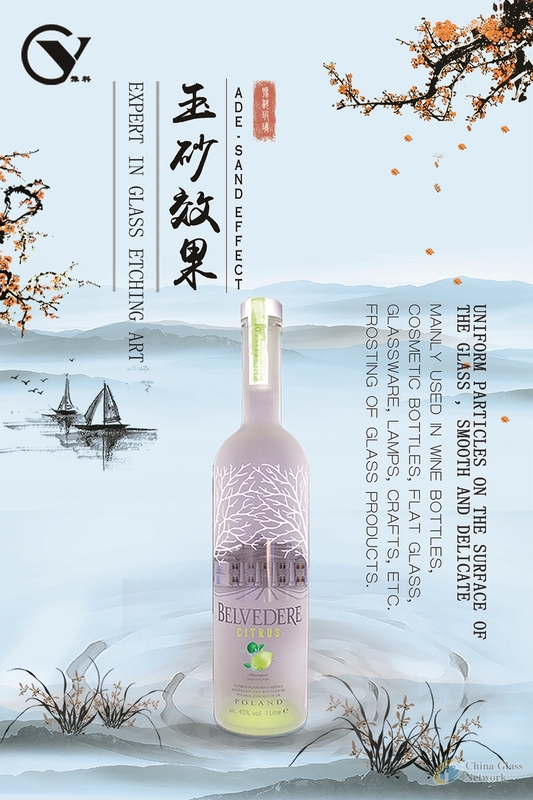 The technology procedure: Mix a proportion of glass frosting powder and sulfuric acid together, churn up the mixture fully, then submerge the await etching glassware into it for 1--3 minutes, take it out, clean and dry it. The etched effect: The surface of the etched product feels smooth and delicate, the grains distribute on it are teeny and equal. The thickness and the color, and the size of the grains are adjustable in compliance with the requirement of customers. 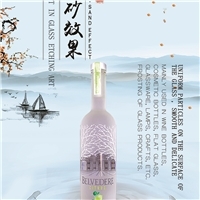 The package:25kg/bag The output: Each kilogram glass frosting powder can etch the 500ml glass bottles with the average white glass material about 200.